Normally I keep a running list of items for shopping and do it all in one go. There are a couple of reasons why this won't work so well with our new routine. Firstly, Hubby B might occasionally pop into the supermarket for something and he will often text me "do we need anything?" More often then not the answer is yes followed by a list of 10 things that he has no idea where to find. Secondly Hubby B may be made to do the weekly shop occasionally from now on. Now this is always a bad idea because he seems opposed to shopping from lists and gets several unneeded items. He says it is because it is not in aisle order like I used to do, but until I have a very special template (idea...) I only keep a running list. 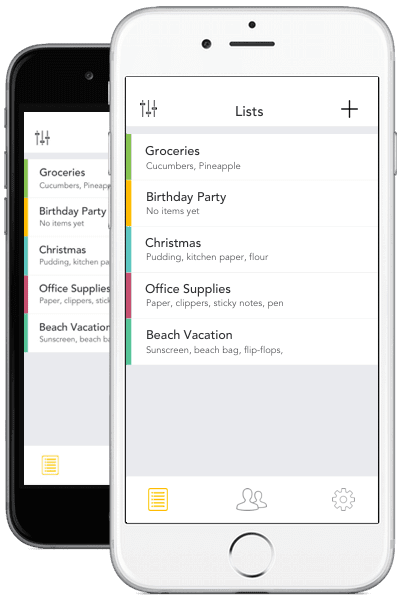 I was really pleased to be approached by the people behind the new Capitan List App who seem to have the solution to these issues. 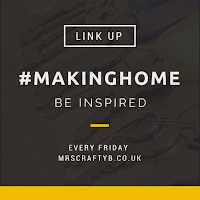 They asked whether I might be able to try out the app and offer some feedback (which I have done) and then I thought I would share it with you lovely lot because let's face it, we all like to be quite organised. 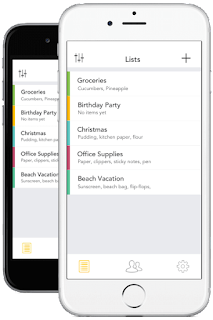 Capitan is a shopping list app that will be available for both android and iOS users. The concept is pretty simple; keep a list in the app, adding as you go and when you add an item it will categorise it for you e.g. dairy, bakery, tins etc. Obviously you can do this with a paper list, so what is special about this app? Well, enter Hubby B! More than one user can add to the same list. For example if Hubby B realises that he has has run out of teabags at work he can go to the app and add it to the weekly shopping list. Of course he could also go and get his own bloody teabags but where is the fun in that? You can also have more than one list, which I do always have. I keep a list of things that I might need to get when I go into the city which isn't very often. Another example: If Hubby B books a work trip in the day time at work and realises he needs some travel miniatures, he can just add it to my 'city shopping' list. The beauty of the joint list works the other way too. If Hubby B decides he will get his own teabags, along with the 30 other items on the list, he can tick them off as he goes which removes them ergo I won't also buy them! The lists will also be in aisle order so hopefully he won't forget anything (or complain that he didn't have a pen to tick things off) and he will be less like to get other random items. Hopefully. All round the app seems quite a handy idea. For the time being, I probably would write up my organised list from the app and tick it off afterwards solely because Littlest B is a struggle when shopping, especially if there is a phone in sight but I will certainly take advantage of being able to add to it whenever I need to because lets face it, the phone of a blogger is ALWAYS to hand. The app will be launched very soon and you can stay up to date by joining them on Facebook and Twitter with the latest updates. *This post was not sponsored. I received no payment; I was simply asked to try out the new app and I though you would like to know about it. All opinions are my own.